This funny shirt is sure to amuse everyone, especially your Mom and your siblings. It is available in adults and children's sizes and there are fifteen colors to choose from. Sizes that are available range from kids 6-8 up to an adults 5XL. The fabric used to make the shirts is a soft and comfortable cotton/polyester blend. 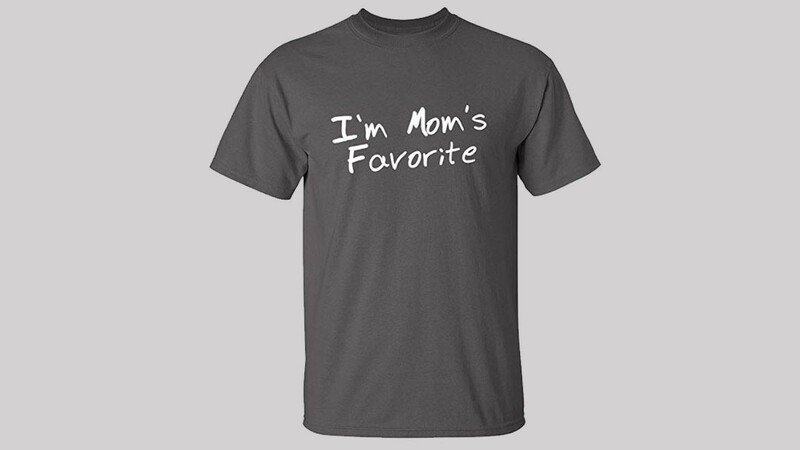 Funny shirts are a great gift idea and this one is perfect to give to your favorite child. If all of your children are your favorites then you can give them all one. This is the perfect shirt to wear to any family gathering.